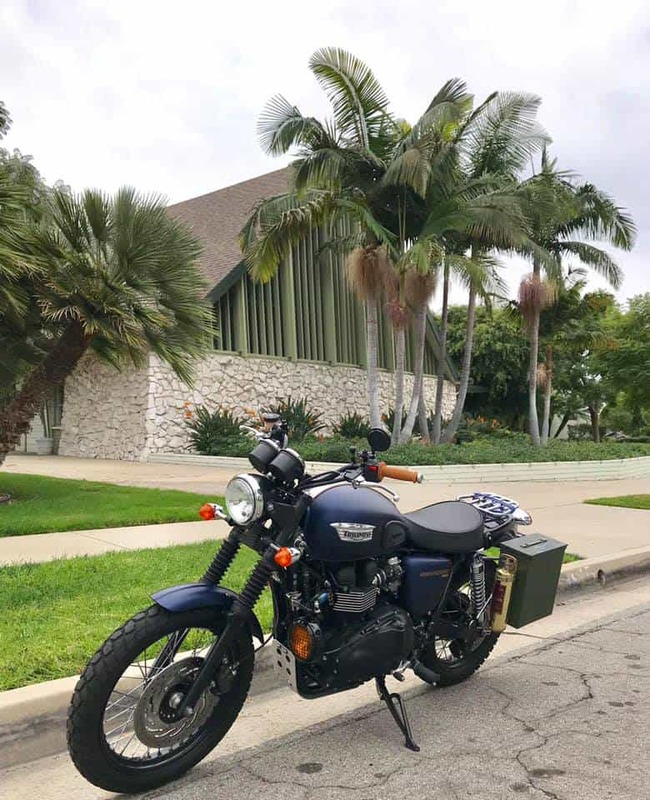 Its always fun using your own machine when you need to pop out for some parts or visit a customer etc and today was a fun one for me, as I thought that I would take the Scrambler out for a little jaunt. 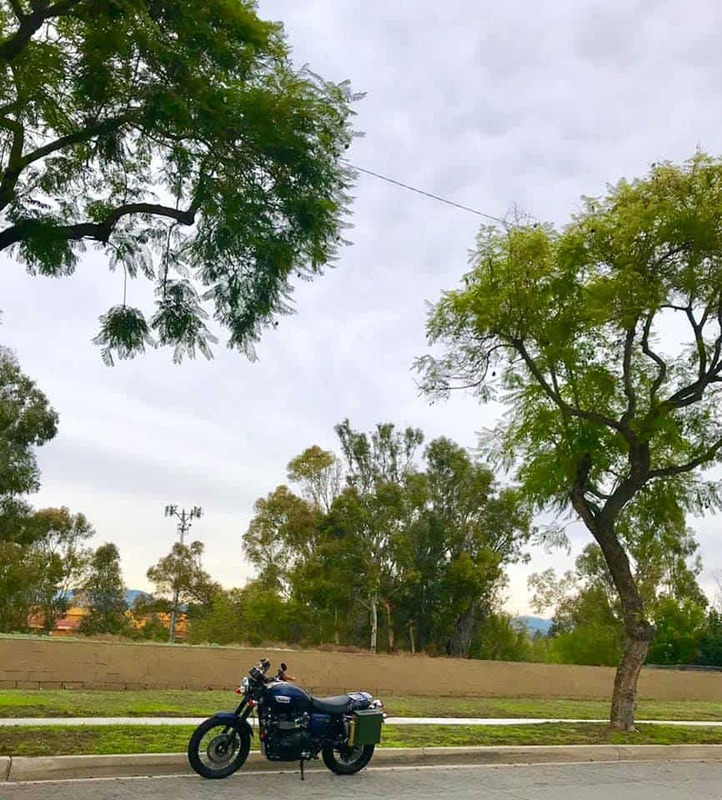 I had to pick a few pieces of hardware up and pop into the Chrome Platers, traffic seemed as busy as ever and it made sense to throw my leg over my 2016 Triumph Scrambler and get around to the places I needed to a whole lot faster than if I took my Van. 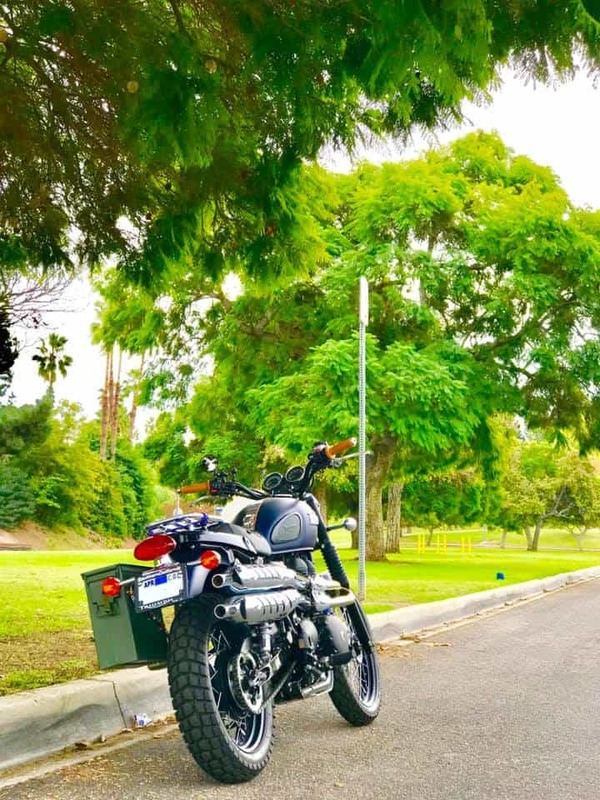 I love all motorcycles and today as I have my Scrambler and had recently fitted an Ammo Box to the side of the rig, well I wanted to make use of such an item and it sure got its work cut out today. 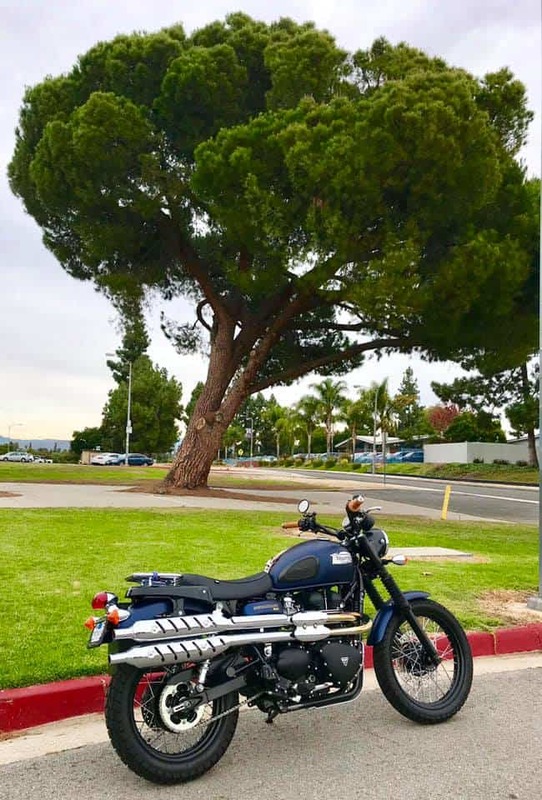 These Trumpys are a pretty Tall Motorcycle but, as I am 5″11 I can tippy toe it at a stop light, it is a really well made machine and has tons of what I call linear power and I feel pretty safe on this iron steed, compared to my Thruxton. 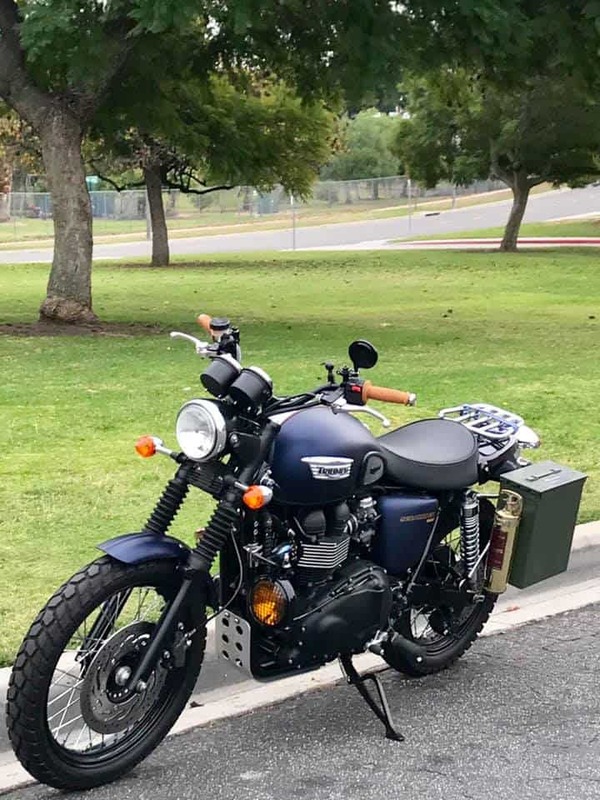 I removed the stock seat in favor of a more Custom look shorter version that has a rear luggage rack attached, eventually I hope to find a Vintage Miltary Ammo style box that will secure to it and give me more loading space as thats always a bonus to have, especially on long trips. 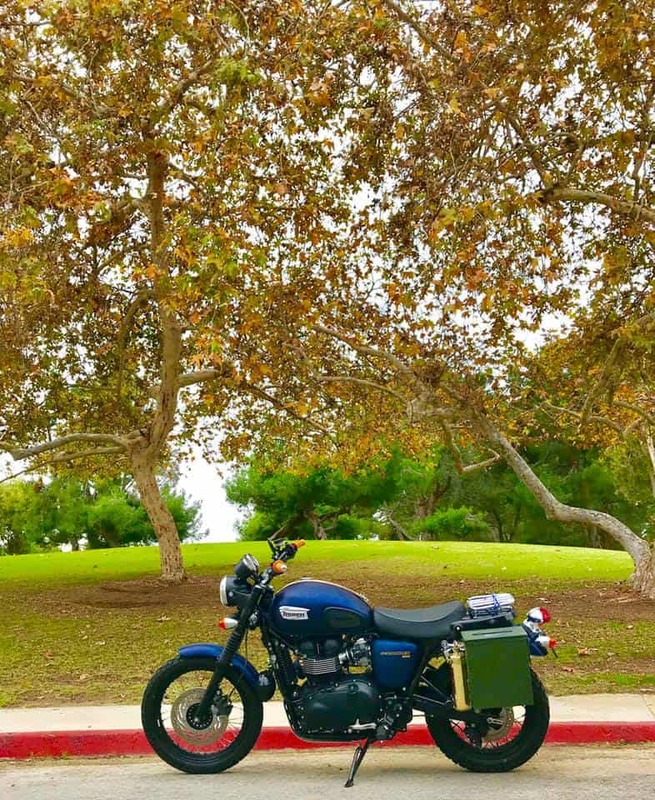 She sits high and I like it that way, I now get to see where I am going and can take in some of the Scenery, where as the Thruxton was fun, but all I ever saw was 6000 revs on the Tach , as I was always laying over the tank as I had clip on’s fitted. I added my Own style Fog light, One- because it gives it a more rigged look, Two- I like the European styling of a Fog light, and three- This will be used on poor visabilty , ie in Fog or at night in the rain etc, be Seen- be Safe is my Philosophy. 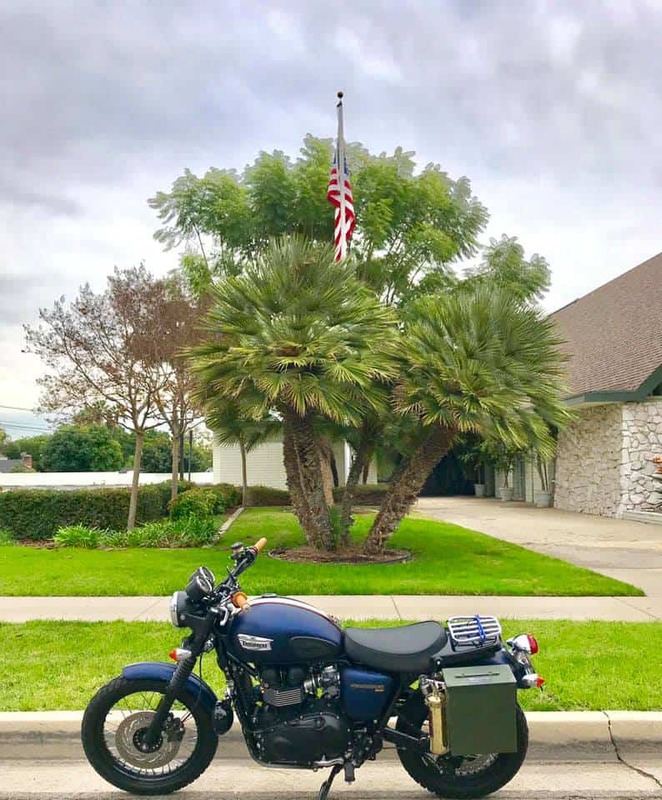 I will eventually paint the Ammo Box in the same Matte Blue of the bikes livery and then add Dakota’s unit Id numbers as he is in Assault Craft Unit 4 in the NAVY. 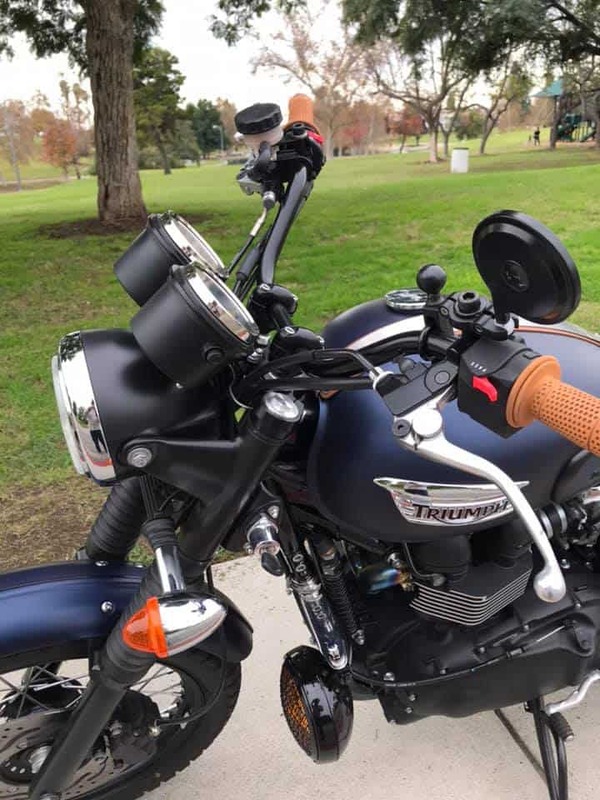 Above, I do not like these stock Plastic turn signals, so I think I shall change the whole headlight assembly eventually, as well as the Black Fork ears and maybe later the gauges too. 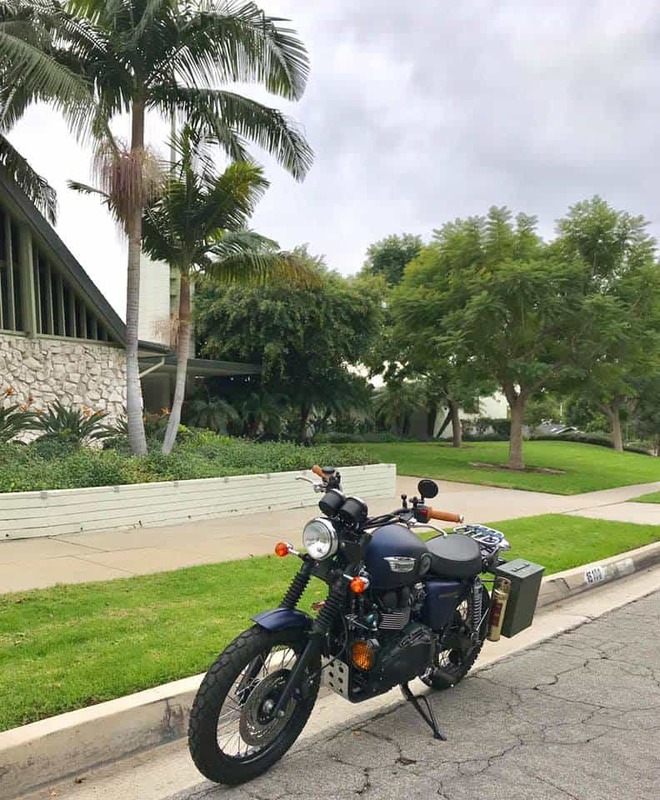 Also added an old Vintage Copper and Brass Fire extinguisher, just for those I need some help moments and I dig it to be honest as I have had that extinguisher in my shops for years, it may not be your cup of Tea, but this really is a fun motorcycle for me and will be travelling many many miles to see some of the great areas of the states like the National Parks etc. 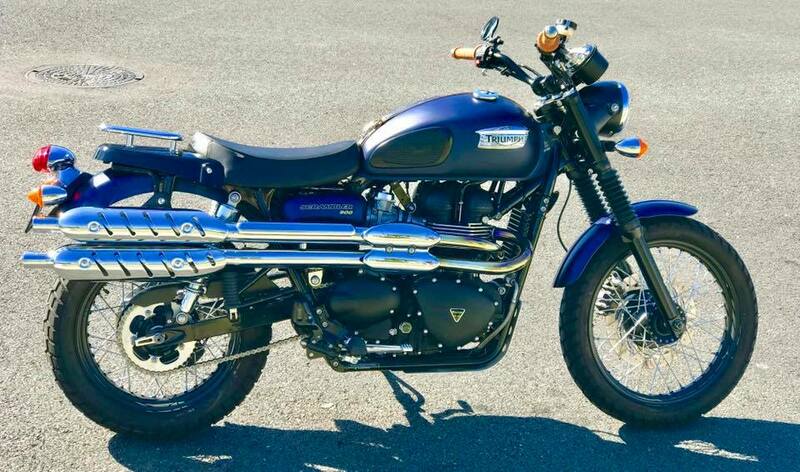 I will also be taking off the rear Fender and fit a smaller LED Tail light under the seat, just to tidy things up and of course I shall have a set of reverse Cone megaphones onto the Exhaust at a later date as its way too quiet at present. 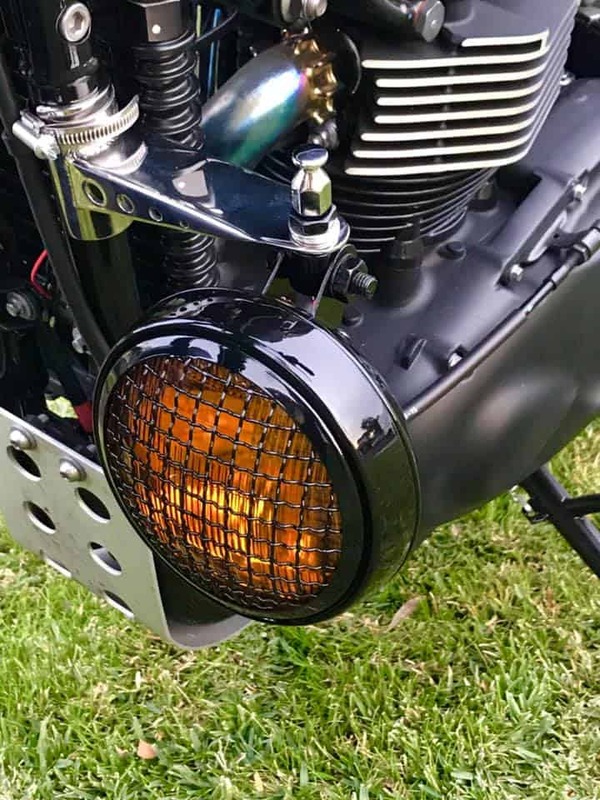 I love the look and style of My fog lamp and have sold many of these over the years and now it gets dark early its good to run this when visibility is bad and it gets me noticed for sure. 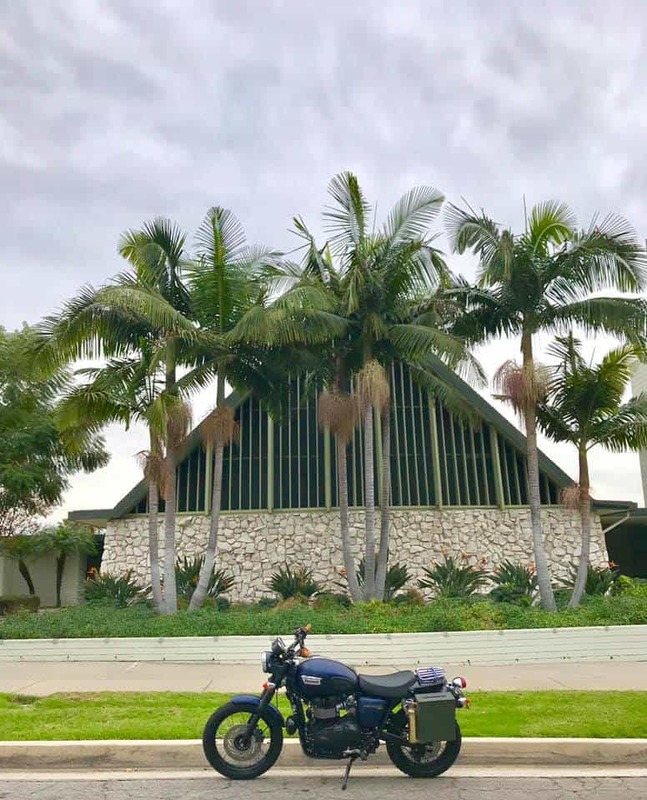 I shall be removing stock parts and making my own to add to this bike and look forward to taking some cool trips on this and Jennifer on her Bonneville, its going to be a blast. 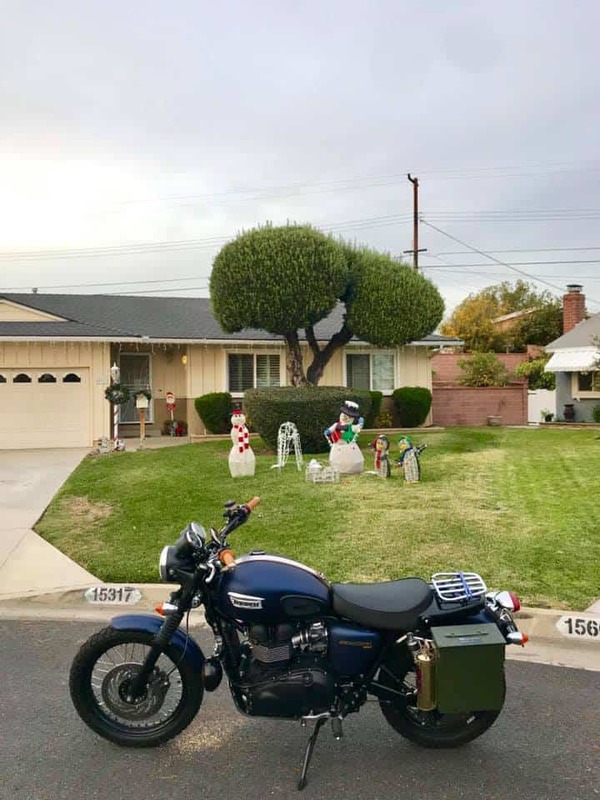 Right now I have to go to the post office to drop off some Christmas cards, so what better way than to take my own steed and go for a ride? 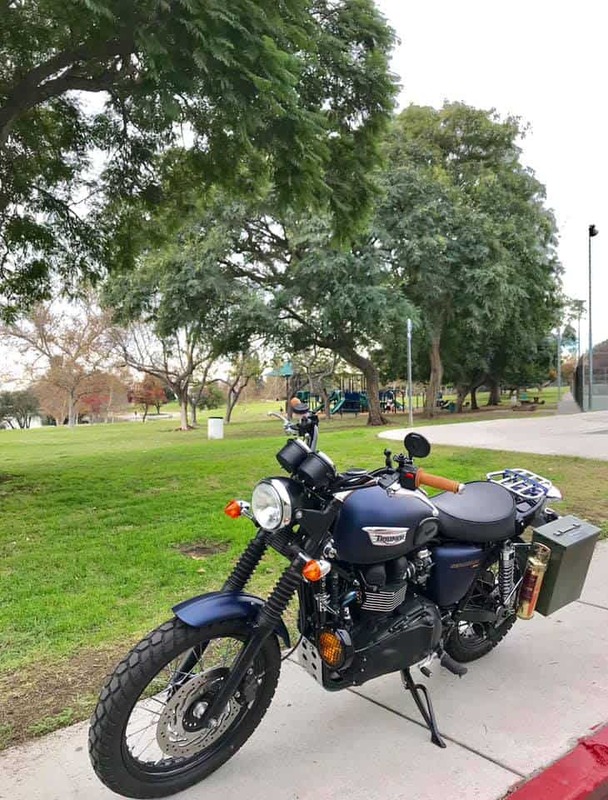 This entry was posted in Blog and tagged 900, ammo box, carpys, parts, scrambler, service, spirit of 59, triumph, trumpy, twinline. Love what I do, best job in the world.